Pine Hollow Farm offers a professional but welcoming environment to all riding levels. Whether you want to ride for pleasure or train for competition, your goals can be reached. 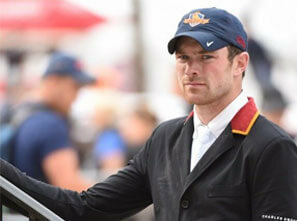 David Blake is an Irish international rider who has represented his country on many Nations Cup teams. David is a noted Grand Prix rider and has competed in three European Championships. Now at Pine Hollow Farm, David has built a strong team of horses and students. He had a very successful summer circuit in 2015, winning three FEI world-ranking classes. These results propelled him into the Top 250 in the Longines FEI world rankings. 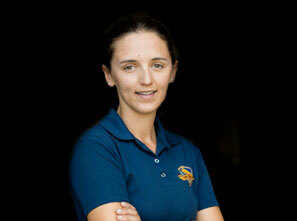 Pine Hollow Farms is pleased to announce the addition of Lynne Clibburn as their new Riding Academy Director. 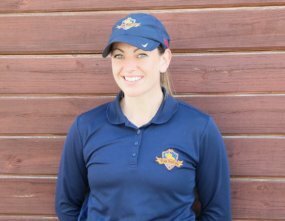 Ms. Clibburn has been internationally recognized as being in the top of the field in both jumping and hunter disciplines. She is also a past Nations Cup Team member and individual member for Great Britain and a Grand Prix Champion rider, among many other accolades. She will be leading a team of highly accomplished trainers at the 25 acre Parkland farm located in Broward County, Florida. “I am privileged and excited to be joining such a top establishment. My main goal is to bring a highly professional, but fun training system to the farm. I am dedicated to helping our present and future clients achieve their goals, dreams and to be successful within any aspect of the equestrian sport. I am eager to share my knowledge and experience with the Pine Hollow Team, and I look forward to this exciting new venture,” says Clibburn”. 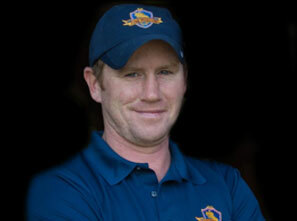 Adrian Griffin is an Irish born rider/trainer here at Pine Hollow Farm. Adrian comes from generations of Irish horsemen and grew up fox hunting and horse showing, starting his international show jumping career at just 14. He has successfully competed at International championships and has several wins and placings at prestigious European shows such as Hickstead and The Dublin Horse Show. He has also produced and sold horses that are now competing at top international shows. Regina has been riding from a very young age and has a wealth of experience both with training of young horses and competing at the International level. She has ridden and competed in most equestrian disciplines but her true passion is Eventing and Dressage. She has competed at International level and represented her country from ponies through young rider level. She enjoys sharing her passion with other riders, along with coaching and training those who wish to learn and improve their dressage skills.